I enjoyed a play day in my craft room yesterday. It was a damp, miserable day outside but a warm, smiley one in my craft room. I painted, sewed, embroidered and glued all day … sheer creative bliss! 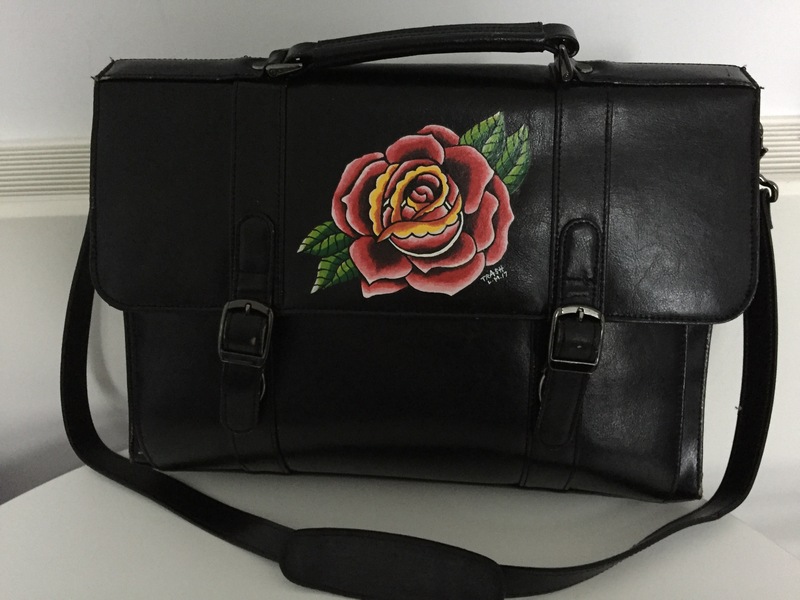 I am absolutely loving the Classy Chassis of this cute tattoo themed box bag, which had a prospective buyer practically before the glue had dried. Ahhhhhhh … a hot glue gun and a posh embroidery machine … blinkin’ perfect! 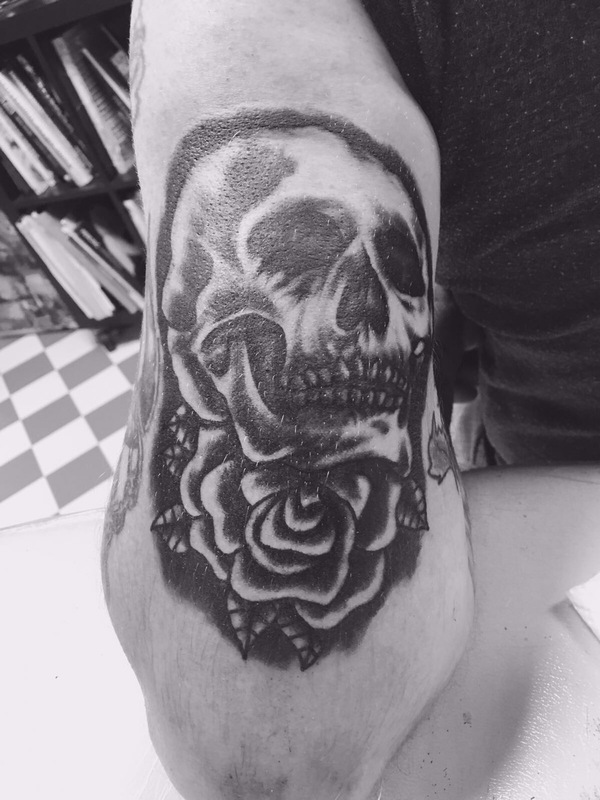 Lee has just completed this totally awesome rose on the neck of one of our regular customers. 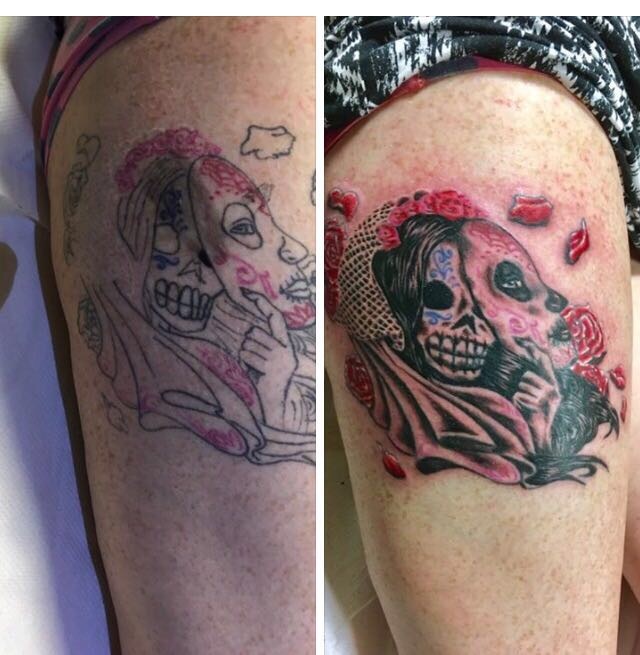 The customer already had an old tattoo of a swallow and some initials and so Lee incorporated the rose. 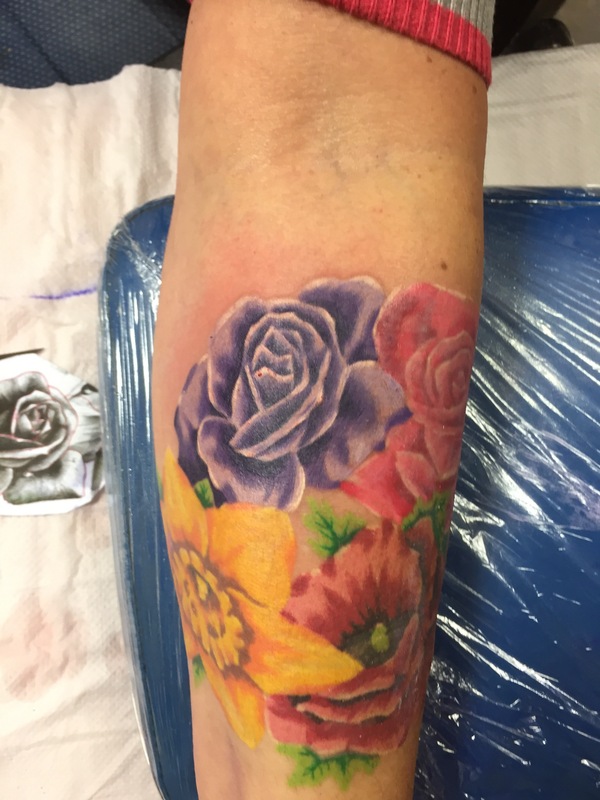 Needless to say the beautiful, colourful rose definitely made our customer blooming happy. 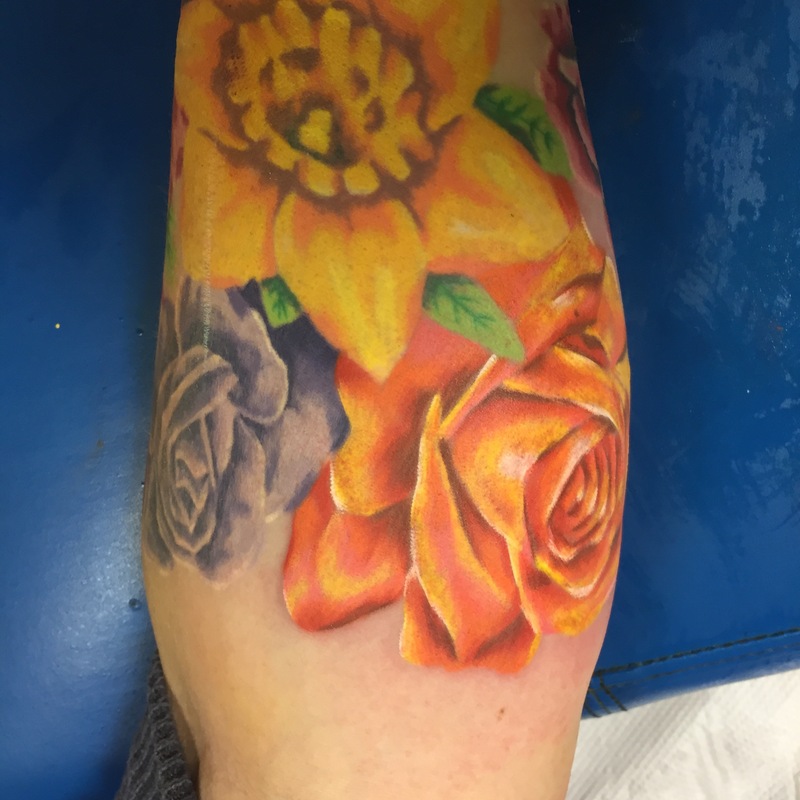 A lovely customer came in wanting something wonderful done to a tattoo started by another artist. Quite often Lee will prefer not to do this as his creativity is constrained by the previous work but on the flip side he just loves an artistic challenge! For the day job I use a briefcase and I was quite envious of the two briefcases that Lee painted recently (and are available on our Amazon shop). However, I didn’t think that the skulls and owls would be suitable for my very formal business meetings. Therefore my lovely husband spent a relaxing day giving my very boring black briefcase a little makeover. 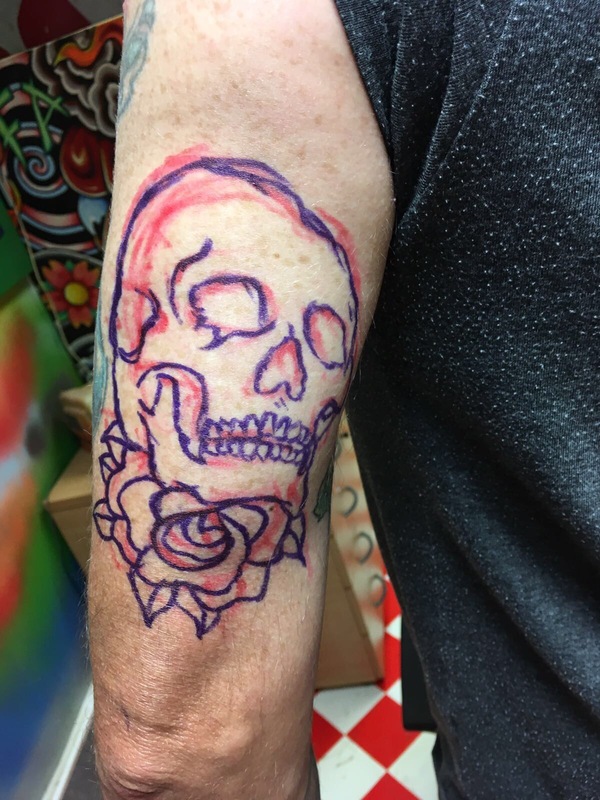 So … that beautiful pink rose which Lee added to my floral band a couple of weeks ago left a naked space on my arm and the glowing whiteness kept catching my eye. Truly it was simply begging for some colour. In the meantime I guess it’s true … roses really do grow on you!